It is a common practice to take blood pressure readings at home by using the instrument. It is important to keep a record of the readings taken at home to let the doctor examine your condition better. Blood pressure does not remain stable throughout the day as the readings may vary according to your physical activity or emotional state. The blood pressure instrument used to measure blood pressure reading is called Sphygmomanometer. The Blood Pressure reading indicates the overall health condition as it links many other functions of the body. 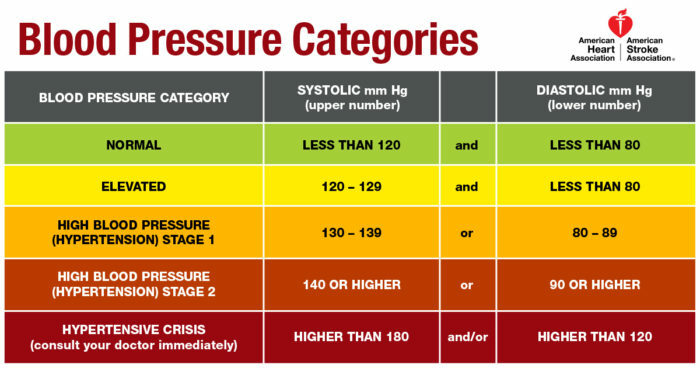 The different types of blood pressure instrument depend on an individual’s need. Both manual and digital sphygmomanometers are available for use although the manual ones are considered to be more accurate. Manual sphygmomanometers are further classified as two instruments called mercury sphygmomanometer and aneroid sphygmomanometer. The difference between both is that mercury ones have a mercury scale on which the reading is measured, however, the aneroid monitors have a dial gauge with a needle to point towards the reading. 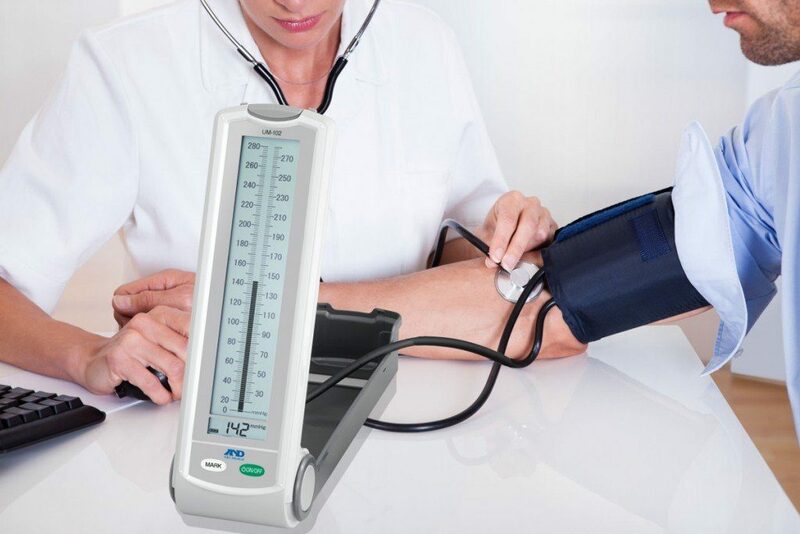 Mercury sphygmomanometer is the gold standard equipment for clinical use as it gives the most accurate reading. Practitioners use this instrument to read the height of mercury level on the scale which measures the blood pressure. These are used in most severe cases in which there is no chance for inaccurate readings to be taken. An aneroid instrument measures blood pressure reading manually with the help of cuff and stethoscope. The gauge on the dial helps you take readings. A cuff is wrapped around the upper arm to inflate it by pressing a rubber bulb. The cuff is built in with a stethoscope to hear the heartbeat sound. Such an instrument is easy to carry around and use if the instructions are followed carefully. Digital monitors are electronic instruments that are easier to use than the aneroid monitors. The reading is displayed on a small screen after the cuff detects the reading itself as it deflates automatically. However, digital monitors are not as accurate as the aneroid monitors. Also, digital monitors are more expensive than the aneroid monitors which may not be affordable for everyone. 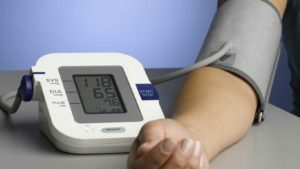 How to Check Accuracy of Blood Pressure Instrument? A doctor should check for accuracy of a blood pressure instrument once every year. You may also check for its accuracy periodically by testing the aneroid monitor’s tube for cracks or leaks. Also, care should be taken with the tube as it will get damaged if twisted or mishandled. How to Use the Instrument? For an aneroid monitor, you should place the earpiece of the stethoscope in your ears facing forward. Place the disk of stethoscope on the inside of elbow’s crease. After checking if everything’s placed in the right position, squeeze the bulb to inflate the cuff. The rubber bulb should be squeezed until the reading on the gauge shows 40 points above your last systolic reading to ensure the cuff has stopped circulation. Ensure that the cuff is inflated rapidly as slow squeezing of the rubber bulb will result in a false reading. Let some air out of the cuff by loosening the unit’s valve which will deflate the cuff. Deflation should be at a rate of only 2 or 3 mm per second as too much air going out rapidly will not allow you to read the gauge. Start listening to the heartbeat as soon as you deflate the cuff as the first sound will indicate systolic pressure reading on the dial. Keep looking at the dial as there will be a reading when the heartbeat stops. This reading will be diastolic pressure reading. Note down both the readings and wait for 2 to 3 minutes if you need to take another blood pressure reading. For a Digital Monitor, you will push start the button on the unit. The cuff will inflate automatically when you start the unit so you should first place the unit correctly before starting. However, you will have to inflate the cuff manually if the system is not automatic. The device will deflate the cuff itself after inflating to let the air out. However, a manual instrument will require you to deflate the cuff yourself by loosening the valve. The display screen will soon show the readings along with the pulse rate for most digital instruments. Let all air out from the cuff by pressing the exhaust button. What should You do Before Taking Blood Pressure Reading? You should not take the blood pressure reading right after eating meals, tobacco, caffeine or alcohol as they may not give an accurate reading. Your bladder needs to be empty before you take your blood pressure reading as a full bladder usually alters blood pressure reading. It is also recommended to put your body at rest for 5 minutes and stop taking before taking a blood pressure reading. It is important that your posture is straight and legs are not crossed when taking the reading. The left arm should be placed on the level of the heart and on a table or chair so it may be at rest. Wrap the cuff around the upper arm and leave space of one fingertip to slip easily under the cuff. The placement of the arm cuff should be checked as it should be placed 1 inch above the elbow crease. Systolic Pressure – The first reading measured when the blood is rushing after the cuff starts to deflate is called as systolic pressure. This reading measures the pressure inside arteries when the heart pumps blood. Diastolic Pressure – The reading measured after the heart comes at rest is called as diastolic pressure. This measures the pressure of the blood when the heart is at rest in between the beats. The normal reading for blood pressure measures 120 by 80 which indicates the higher reading as systolic pressure and lower reading as diastolic pressure. A higher than normal reading indicates hypertension if it is constantly on the higher level. Higher than 120/80 and lower than 140/90 is termed as prehypertension as greater values are indicative of hypertension. High blood pressure may cause heart problems as there is a high risk of strokes, failure and kidney problems with it. However, checking blood pressure regularly will help you keep a record of the readings to know if any treatment is required. Blood pressure can be checked at home or in clinics without any pain easily and is part of any medical checkup as it is linked to many health issues. Hypertension patients can be diagnosed by measuring blood pressure and other blood values by a doctor. There are various medications for management of hypertension which need to taken regularly without fail so as to minimize the risk of heat stroke. Diabetic patients or patients having kidney problems will have different ranges for high blood pressure. 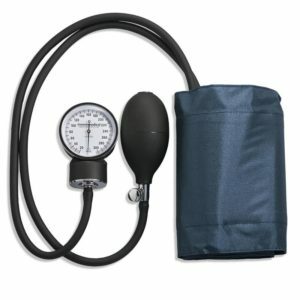 How to Buy the right Sphygmomanometer? Make your monitor is accurate as any wrong readings noted can misguide you about your health. Also, make sure the cuff is of the right size as small cuffs result in higher readings whereas the bigger ones result in low blood pressure reading. Check for the prices of sphygmomanometers and buy whatever suits you best.